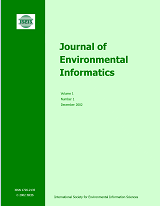 This paper presents a new approach to road extraction from high-resolution satellite imagery based on Genetic Algorithms with fitness calculation of clustering. Traditional segmentation techniques which use clustering require human interaction to fine-tune the clustering algorithm parameters and select good clusters. The proposed approach applies Generic Algorithms to learn the parameters and pick up good clusters automatically. The approach is demonstrated on pansharpened QuickBird imagery and preliminary results are encouraging.